Editor’s Note: This is the fifth installment of a new series called “Illuminations,” which aims to highlight stories of cooperation, unity and diversity from across the Cooperative Baptist Fellowship. Illuminations is a communications initiative of the Illumination Project, a project of discernment and accompaniment involving CBF congregational leaders to illuminate the qualities that have built unity in CBF, and through discernment, identify intentional processes to maintain and grow unity through cooperation. Learn more about the Illumination Project at www.cbf.net/illuminationproject. Though World War II came to an end more than 71 years ago, it still remains a defining piece of the recent history and relationship between the United States and Japan. As we spend time with family, friends, and congregations in the United States, in our roles as Cooperative Baptist Fellowship field personnel, we are often asked about this dynamic as Americans who reside in Japan. As we are able to definitively speak of our positive experiences as Americans in Japan, we also enjoy sharing how we have seen our Japanese partners address this dynamic, and in turn reflect their Baptist identity in a Japanese context. Generally speaking, Japanese people take great interest in America and its diverse culture, its politics, and way of life. As Americans, we have always been treated with respect. And yes, we have been to Hiroshima, four times in our first three years in the country. We traveled there four times because it was a priority for us to take groups and family that we hosted. Hiroshima can be a sad place; the shell of a building near the epicenter, now called the Atomic Bomb Dome, is one of the last remaining structures from before the bombing; and there are tattered clothes, pictures, and damaged items in the Peace Memorial Museum that take visitors back to the atrocities of August 6, 1945. Yet alongside the sadness, we have been impressed by the emphasis on peace. After a bitter and destructive war that deeply affected all sides, we have appreciated that through the peace memorials in Hiroshima and Nagasaki, the Japanese have turned their focus toward the future, working for and praying that no one in the world would experience the effects of nuclear war ever again. Our third trip to Hiroshima brought together CBF and Japan Baptist Convention (JBC) partner congregations to celebrate peace, and the peace of Christ, through music. During a two-week choir tour of Japan, the Music and Mission Team of Smoke Rise Baptist Church in Stone Mountain, Ga., made a visit to Hiroshima. Alongside Japanese Baptist friends, the group toured the Peace Memorial Museum, sang “Let There Be Peace on Earth” at the Children’s Peace Monument, heard the testimony of a church member who lived through the bombing as a then 8-year-old, and held a joint peace concert later that evening at Hiroshima Baptist Church. In surveys from the concert, some of the attenders wrote that they were moved by the beauty of American and Japanese Christians coming together to work for peace. But this concert was simply joining alongside the ongoing mission of peace that is carried out by our Japanese Baptist sisters and brothers in their expression of what it means to be Baptist. We have been touched by their dedication to build peace through advocacy, prayer and relationships. As they gather together in worship every Sunday in August, JBC congregations emphasize and pray for peace. The church we served alongside in Kanazawa reviews each year how to say “peace” in different languages. As they work with others from around the world, the JBC thinks with sensitivity and intentionality about its nation’s past relationships with other countries and their citizens, especially during a time when religion and the state were not separate. As they respond to changes in their own cultural and political climate, the JBC and some of its members are actively advocating against a proposed constitutional amendment for Japan to have the legal ability to declare war if it is attacked. In these ways, our Japanese Baptist friends have taken up the banner of peacebuilding for themselves and for the world. When we think about what we’ve learned from our Japanese Baptist friends and partners, this is often what comes to mind. It is a piece of their unique expression of Christianity, and of being Baptist, in Japan. And it is in these expressions that we have had the blessing of discovering more about the Global Church and expanding our own understandings of what it means to share our faith as Christians and as Baptists. It is the reminder that while our faith can be and is influenced by our context, no one culture holds the only expression of faith in Christ. Instead, we can learn from each other, pray for one another, and encourage one another as we embrace our part in being the Global Church. Laura Foushee and her husband, Carson, are Cooperative Baptist Fellowship field personnel serving in partnership with the Japan Baptist Convention in Tokyo as Japanese language students as part of their long-term ministry presence in Japan. 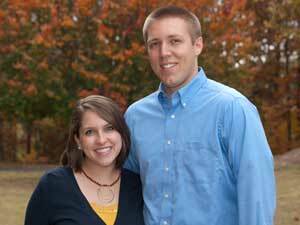 Learn more about and support the Foushee’s ministry here.